Who Should Attend: Plant Managers, Business Owners, Facilities Managers, Plant Engineers, Maintenance Engineers, Maintenance Managers, Operations Managers, Process Manager, Engineering Firms (Spec & Design Engineers) & Students. Why Attend: If you are interested in improving profitability in your business by reducing your energy cost, optimizing your current hydraulic and compressed air equipment, or making better decisions for future expansion of your current operations or new facilities. Joe has a real-world understanding of compressed air use and energy management from his many years with the Ford Motor Company. We will hear the “How To’s” and “Why’s” of a proper compressed air system design and how it correlates to proper operational maintenance and total cost of ownership. Joe has designed, implemented, and maintained all facets of a compressed air system leading him to a Department of Energy and Compressed Air Challenge instructor. He will explain the energy saving opportunities within a compressed air system and how to overcome inefficiencies within a compressed air system. Speaker: Leslie Marshall, Corporate Energy Engineering Lead at General Mills, Inc.
Leslie brings us a firsthand perspective from a user and implementation viewpoint. 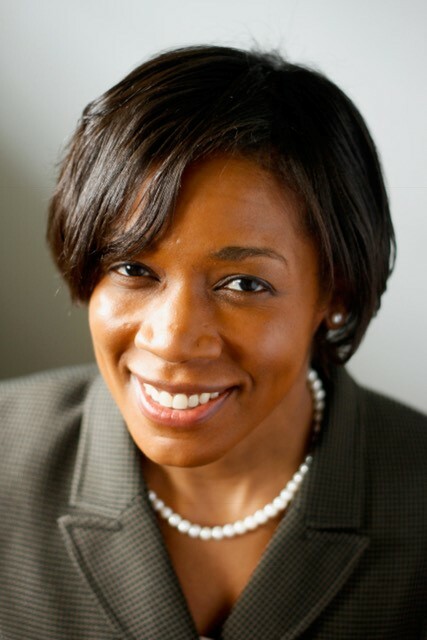 She has extensive experience successfully presenting energy conserving proposals to principle positions within the General Mills corporation in order to achieve an aggressive energy conversation program. Her unique position affords us the opportunity to listen to her successes and why General Mills made the decision to implement energy management projects. You’ll enjoy her realistic, never give up attitude towards onboarding your project. While it is a fact that for any power transmission process there are inefficiencies involved, this is especially true in the fluid power industry. While it is impossible to have a 100% efficient hydraulic system, it is certainly possible with proper design to significantly reduce the amount of wasted energy. It is hard to comprehend the amount of energy consumed that is wasted due to improper operating and design practices. Studies have shown that the average efficiency of industrial hydraulic systems are approximately 22%. That same study showed that in the US alone, the approximate cost of wasted energy in industrial hydraulic systems was $17 Billion dollars. In this session, we will look at some of the areas where hydraulic energy inefficiencies occur and I will discuss key items for evaluating an industrial hydraulic system to determine recommendations to improve efficiency. The analysis will evaluate energy saving tips for both industrial and mobile hydraulic systems. Some specifics are looking at the sizing of prime movers, selection of fluid, contamination control, type of pump utilized along with its controls, valving, and actuator selection. Joe Ghislain: Principal, GOE (Ghislain Operational Efficiency) LLC - "Green and Lean"
Joe is a principal in GOE (Ghislain Operational Efficiency), a consulting firm that specializes in Green and Lean (Energy Management and Lean Manufacturing). He is a 6-Sigma Black Belt that has held 11 different management positions at 12 plants/locations during his career of 31+ years at Ford Motor Company, giving him experience in O&M and Efficiency Improvements in all areas. This includes; Energy, Environmental, Business Strategy, ISO, Lean Manufacturing, Production, Facilities, Powerhouse, and Compressed Air Systems. Most recently, he was the N.A. Regional Manager- Lean Supplier Optimization, where he led Ford Motor Company's efforts in Lean Manufacturing and operational efficiency improvements for their North American Suppliers. In the energy field, he has held positions as a Licensed Stationary Engineer in a Hospital, and at Ford as Power House Chief Engineer, Corporate Energy Engineer, and Manufacturing Planning Manager. Most notably, Joe was Ford’s Global Manager of Energy Efficiency Programs where he was responsible for developing and implementing energy management programs and system to reduce energy cost and usage within all of Ford’s plants and divisions globally. Joe has been part of the Compressed Air Challenge since its inceptions, serving as the Chairperson for the Project Development Committee, Technical Advisory Committee, and as the End User Representative on Board of Directors. 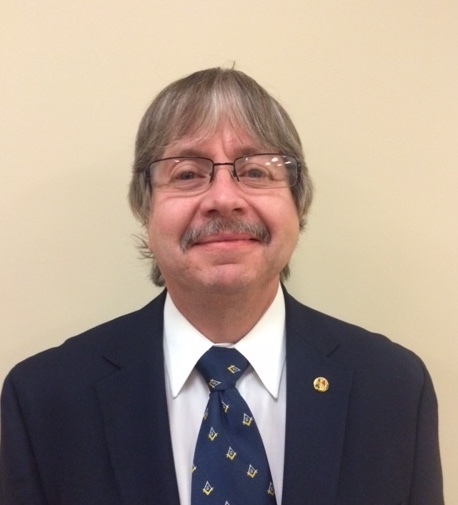 He is an instructor for both CAC Fundamentals and Advanced Compressed Air System Training and contributed to the development of both courses, Joe received his B.S.E.E.T. from DeVry Institute of Technology and his M.A. in Business Management and Energy from DePaul University. His credentials include: Certified Practitioner Energy Management Systems – Industrial, SEP Performance Verifier – Industrial, Certified Energy Manager, Certified Sustainable Development Professional and Registered Environmental Manager. He is also a DOE Superior Energy Performance Qualified and Better Buildings Better Plant ISO 50001 Ready instructor. Joe has authored/co-authored many technical papers on Energy and compressed air that have been published by a number of sources including, AEE, ACEEE, ECEE, SAE, SME, Compressed Air Best Practices and Plant Services. Joe has always been passionate about energy and serves or has served on several energy committees including US Council for Energy Efficient Manufacturing (formerly, DOE/EPA Superior Energy Performance), ISO 50001 US Technical Advisory Group(TAG), ANSI-GTEEMC Consensus Board, IEnMP Advisory Board and Board of Directors, CPEnMS Scheme Committee and ASME Industrial Energy Systems Assessment Committee. Leslie Marshall is the Corporate Energy Engineering Lead for General Mills, a company that has committed to reducing its absolute greenhouse gas emissions across its full value chain by 28% by the year 2025 using 2010 as a baseline. Leslie is tasked with developing and executing the global strategy for reducing the energy and greenhouse gas emissions that result from production at General Mills' food processing plants. Since 2013, General Mills’ corporate and plant energy teams have reduced the company’s adjusted energy usage by 14% and saved $26 million in energy costs. Leslie manages the utility data for General Mills' food processing plants and identifies the biggest opportunities for reducing energy. Her work involves providing cost analyses to justify implementing capital projects for new technologies that will enable plants to run more efficiently. General Mills' energy reduction strategy emphasizes making behavioral changes to plant utility and facility operations. In addition to eliminating energy usage, this has improved the reliability of the utilities delivered to production departments and decreased maintenance costs. Leslie's accomplishments have demonstrated that energy reduction can be achieved in businesses even when the company’s priority is focused on delivering a different product to the consumer. Leslie actively participates in sustainability events to educate her community about General Mills' commitment to the environment, and she frequently speaks at international conferences to collaborate on energy reducing best practices with her peers across other industries. She is a member of Middle Tennessee State University’s Engineering Technology Department Advisory Board which helps to give input on how the department can develop their students to meet the needs of the community. She also volunteers with the organization Partners in Food Solutions by providing technical consultations to food processing plants in Africa who wish to reduce their energy consumption but do not have onsite resources for assistance. Leslie holds a Bachelor of Science degree from Cornell University's School of Mechanical and Aerospace Engineering. Tom has been working in the Fluid Power and Motion Control field for almost 40 years with 10 years spent actively serving in the US Navy as a Machinist’s Mate Chief Petty Officer where he was involved with the maintenance and operation of shipboard propulsion along with hydraulic and pneumatic auxiliary support systems. He served onboard a nuclear submarine and a fast frigate where he first gained expertise in hydraulic and pneumatic systems and later served as a Naval Instructor for engineering systems. His civilian career has been spent in engineering, sales, application support, and training. He retired from the Eaton Corporation in 2014 with 25 ½ years of service and is currently employed by the International Fluid Power Society IFPS) as their Technical Director. He has been active in system design, system efficiency audits, technical writing and training. Prior to his employment with the IFPS, he was actively involved for many years as a volunteer in the International Fluid Power Society where he is a Past President. He holds active certifications as a Certified Fluid Power Specialist (Hydraulics and Pneumatics), Certified Industrial Hydraulics Technician, Connector and Conductor Specialist, and is also certified by the IFPS as an Accredited Instructor as well as a Job Performance Proctor. 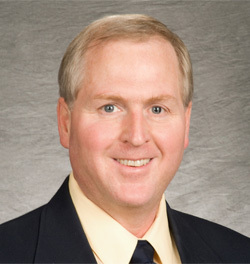 Tom holds a BS degree from Montana State University and an MBA from the University of Colorado. If you are interested in becoming a sponsor or have questions about sponsorship opportunities, please contact Rick Lindemann at rlindemann@dakotafluidpower.com.